How does cleaning my Solar Panels help them work to maximum efficiency? How does cleaning my Solar Panels help ? 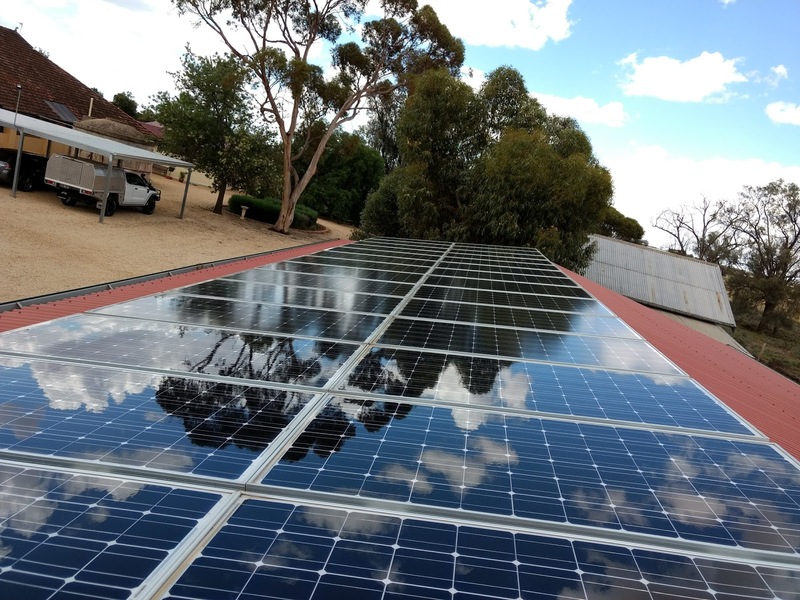 Well if you get your Solar Panels in the Riverland area cleaned regularly, at least once a year you will notice a benefit. They can capture and convert the Suns energy more efficiently and boost their performance saving you money on your electricity bills. 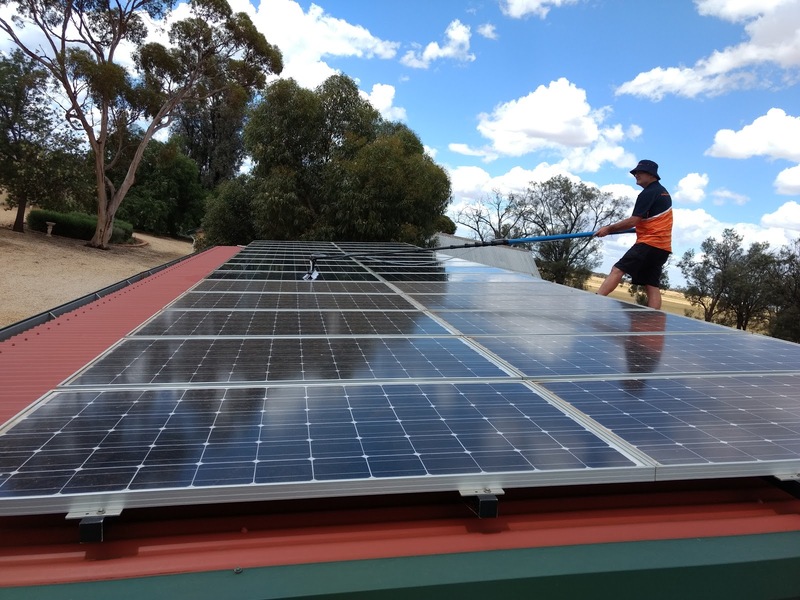 We have the latest in Solar Panel Cleaning technology to do it for you with our Solar Panel Cleaning Service based in Loxton South Australia. Give Craig or Beate Crisp of Craig’s Cleaning Service a Call anytime on 0429845156 for your next Solar Panel Clean. Or have a look at our main website Craig’s Cleaning Service. Previous How Can I Clean the fingerprints off of my glass doors ? Next How Can I get my Carpets Clean and Dry in the Riverland ? In addition, most solar panels are tilted to a high enough degree that most buildup will run right off the panel instead of sticking to the top of it. Even with tilted panels, you might have some slight buildup on the lowest panel (because the runoff collects at the bottom) but the decrease in output based on this alone is so minuscule, it s not something worth worrying about.